In this ‘Sweet Dreams’ workshop, we look at new ways to become a better sleeper. You will discover a lot of yoga and breathing exercises in order to unwind after a busy work day and smart pre-sleep food & lifestyle rituals that will help you to start every new day completely refreshed. Global Flow RetreatsFounded in 2006 Global Flow Retreats is a platform created to initiate growth, joy and connection through yoga, travel and the power of retreating and 'diving deep'. 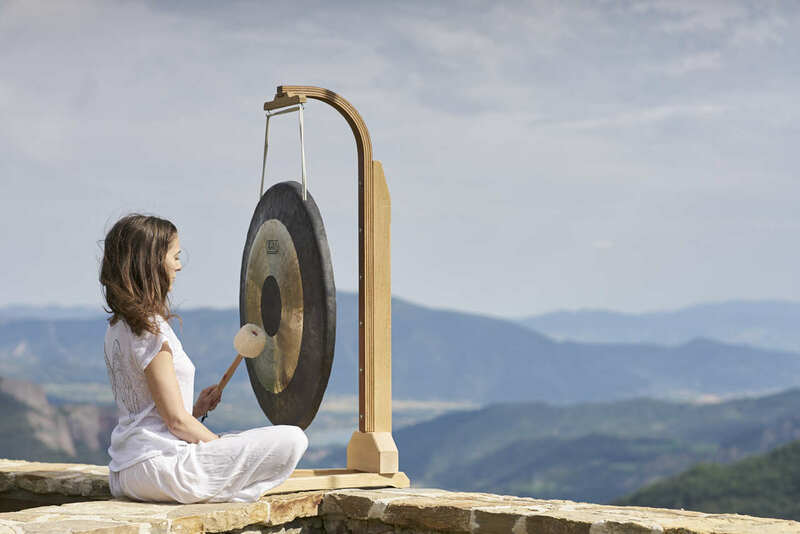 OUR VISIONGlobal Flow Retreats offers retreats that give you the tools to (re)connect to the creative and intelligent flow of your life. By pausing, deeply relaxing and exploring our inner worlds in the supportive setting of a group, the doors open to life-changing insights and healing. We uncover passions and unknown talents that lead to empowerment and personal growth. Once we are connected to ourselves, it is in our nature to share that abundance with others. Time and time again we see the impact a retreat has not only on the person that joins us but also on the people they share their lives with and beyond.It is our mission to offer retreats that create a ripple effect that not only connects our retreaters to the flow of their life, but also the people whose lives they touch. Creating a true global flow that makes this world a little more beautiful, one retreat at a time.EmpowermentTrue empowerment is the biggest change maker in the world. When empowered, each and every one of us can move mountains! Empowerment is one of those things money simply can't buy. It is our vision that true empowerment is a result of connection, recognition and learning through experience. Our team consists of highly skilled teachers that are all experts in their fields. The teachings they offer have a tremendous value that goes well beyond the yoga mat. 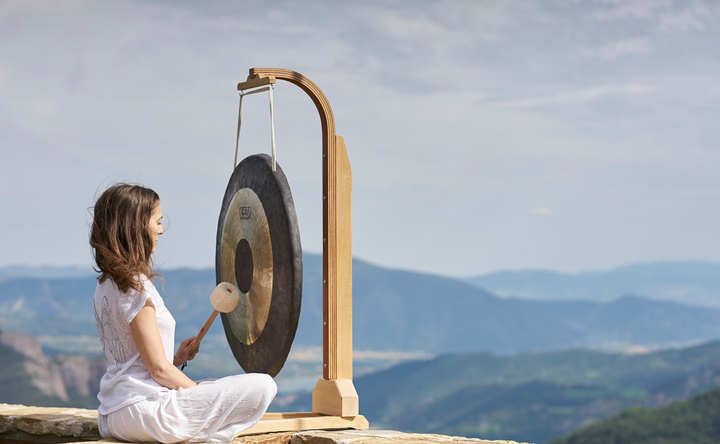 Global Flow Retreats offers personal guidance and support during and after the retreat, supporting you where needed on your journey to self-healing and empowerment.ConnectionOur retreats take you on a journey to connect with yourself, but also to new people, a new culture and new practices. All broadening your knowledge and understanding, highlighting how through the beauty of our diversity we are all connected and bonded by the universal needs of human kind. Through periods of silence, mindfulness and deep listening, you will experience the profound wisdom and joy that is the result of true connection.Global Flow Retreats gives you the opportunity to learn more about the culture we are visiting with our retreats, often connecting with local initiatives that have a positive impact on the world. CommunityWe believe that the foundation of every spiritual practice is the connection to our source. It is that connections that create the insight that we are all connected and responsible for each other and the world we live in. This can sometimes feel like a heavy concept, especially considering the current events in the world. Being part of a community that supports you in taking conscious, and positive action, lightens that burden and gives direction. We can all make a tremendous difference through small daily actions. As a community, the impact of our efforts is multiplied and our collective actions make a true difference for our environment and the communities we are a part of. Global Flow Retreats selects retreat locations that take the environment into consideration. All retreats are vegetarian or vegan and we avoid the use of plastic at all our retreats. ContributingConnecting to yourself and giving space to the things you are dealing with in your life, is the first step to stepping into and cultivation your unique strengths. After a retreat you can show up again for yourself, the people in your life and the community you live in, giving back and creating the change that matters in this world. 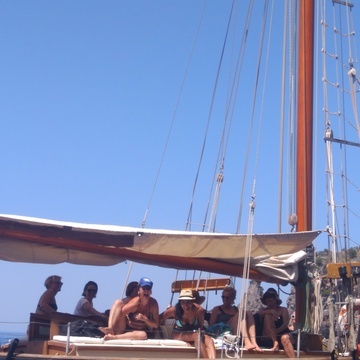 It is through this personal growth that we can share with others that we find a true sense of accomplishment, connection and meaning in our lives.Global Flow Retreats takes you on a journey that allows you to reconnect with your true self, through which you are able to connect and contribute to the world we live in. Before she started to teach yoga, Goedele Leyssen was a busy beauty editor. In 2008, professionally as well as in her personal life, things were very shaky. A healing mix of yoga, meditation and India helped her to turn things around. 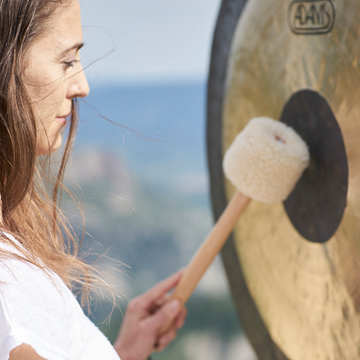 Since then, Goedele trained as a gong player, a sat nam rasayan practitioner and a kundalini yoga teacher. She also developed her own Total Body & Soul Workout concept. Through her teachings, Goedele loves to support people in connecting with their body, the rhythm of their breath and the wisdom in their heart. Besides being a spiritual teacher, Goedele also certified as a holistic nutritionist and she enjoys giving healthy lifestyle talks. She wrote three books about yoga and lifestyle: Boost (2014), Balans (2015) and MoodFood (2017).